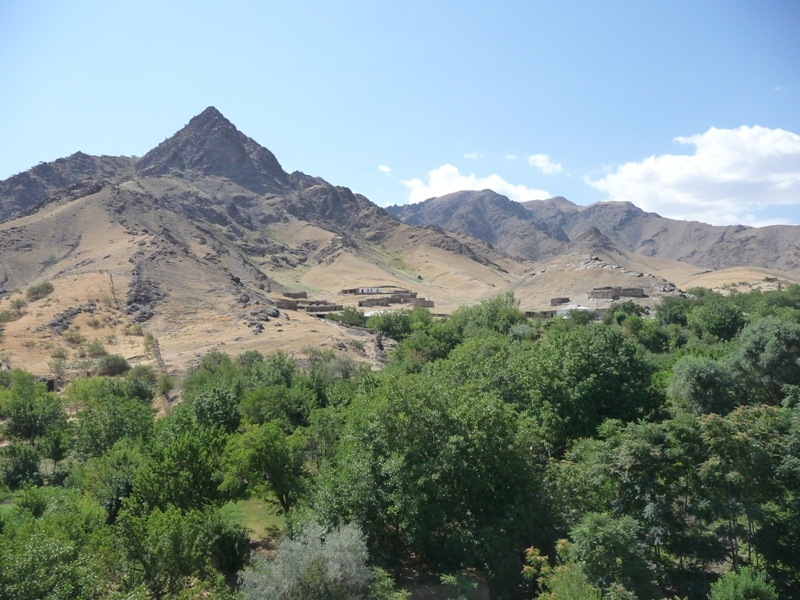 In the morning, drive from Fergana to Margilan and visit Said Akhmad-Khoja Madrasah. Today, madrasah is home to a number of craftsmen producing handmade carpets and silk. Have a walk on traditional market and continue to Yodgorlik Silk Factory to see the production process of silk with traditional Ikat patterns. 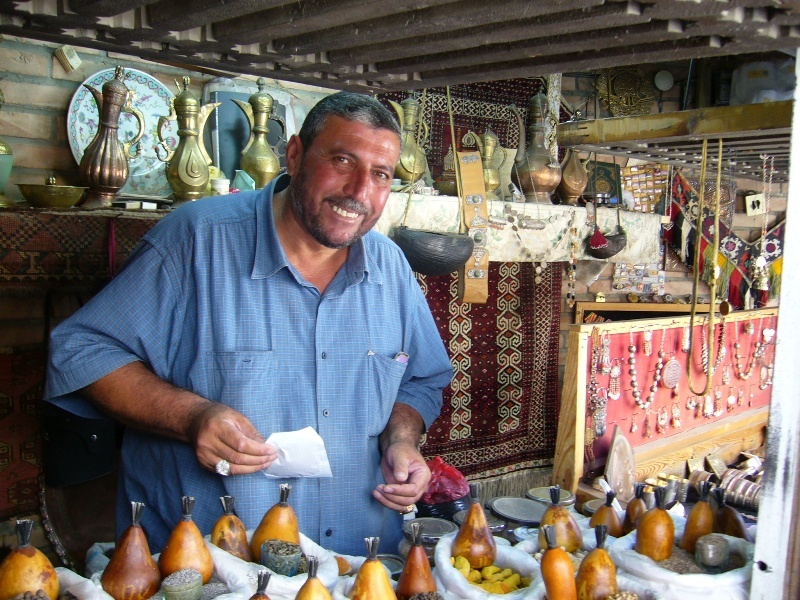 If it is Thursday or Sunday, visit Kumtepa Bazaar, the largest market in Fergana Valley. 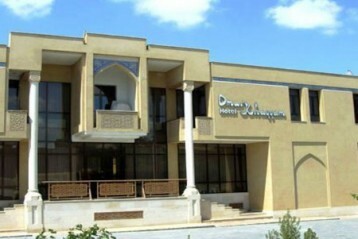 Drive to Rishtan to the house of a well-known ceramic master Rustam Usmanov whose works are exhibited on world exhibitions. 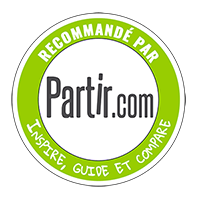 Enjoy a pottery workshop and have a look at ceramic collection in a small museum. Return to Tashkent. Transfer to hotel. Overnight at the hotel. Morning flight to Nukus (1255 km, 2 h. 45 min.). Arrive in Nukus and drive to former fishermen’s town Muynak (220 km, 3 h.), which used to be situated on the shores of Aral Sea. On the way stop at archaeological complex Mizdakhan. In Muynak have a look at a former port with abandoned ships in the sand – “Cemetery of ships”. 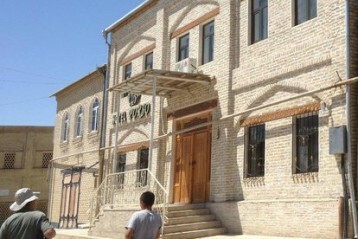 Then visit Local History Museum with art exhibits of the Aral Sea history. In the afternoon return to Nukus. Overnight at the hotel. 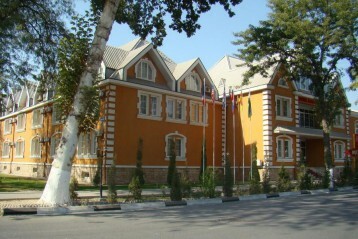 Visit the Savitsky Karakalpakstan Art Museum. 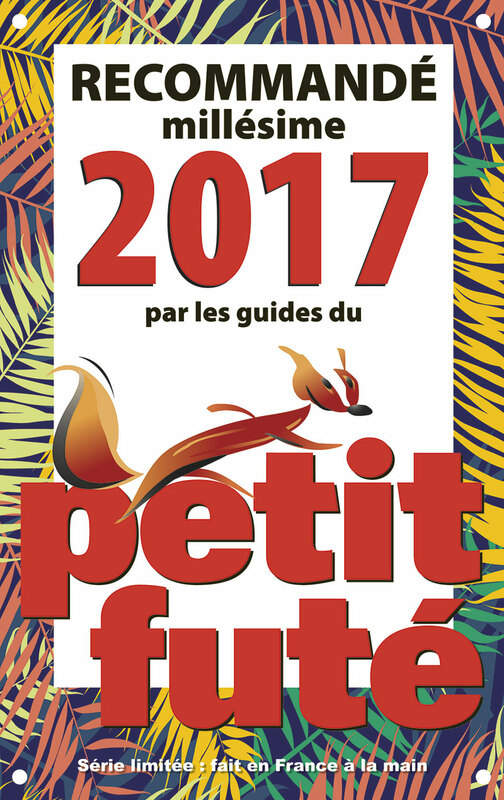 The museum hosts the world's second largest collection of Russian avant-garde art and exposition of Karakalpak applied arts items. 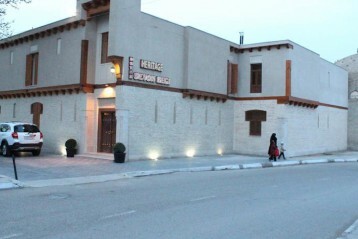 Have a short drive around center of Nukus: see statue of Karakalpak poet Berdakh, Nukus City Hall, and Drama Theatre. In the afternoon depart to Khiva (200 km, 4-5 h.). 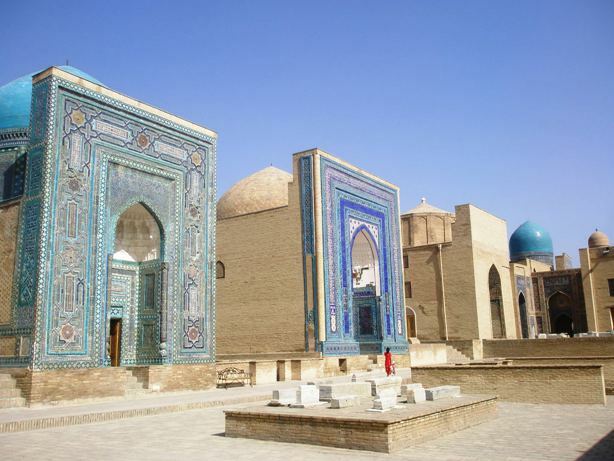 On the way visit archaeological monuments of Ancient Khorezm: Chylpyk Zoroastrian dakhma, and Toprak-Kala – the capital of Khorezm dating back to the 3rd century A.D. 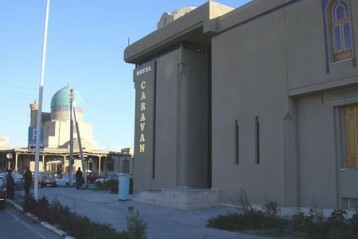 Arrive in Khiva, check in to the hotel. Overnight at the hotel. Spend a day in UNESCO World Heritage site Itchan-Kala Fortress, living museum under the open sky. 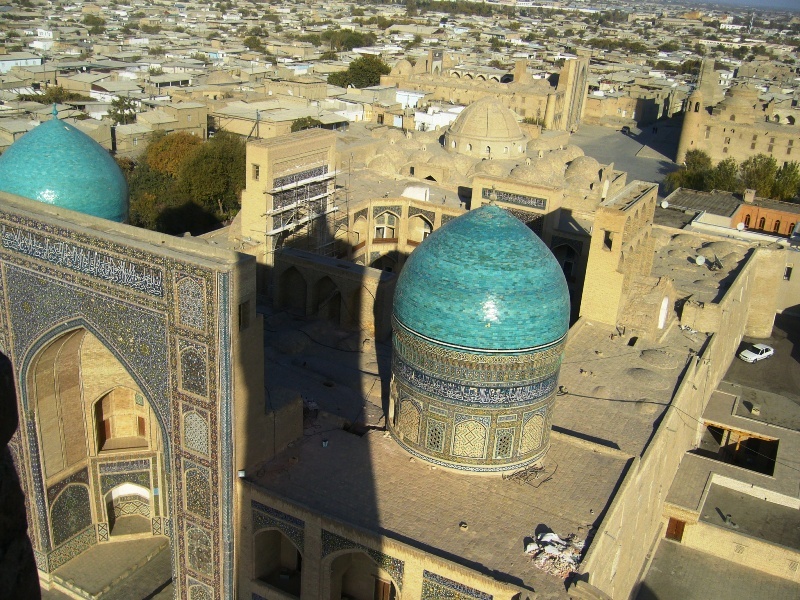 Take a walking sightseeing tour in Khiva: visit Kunya Ark Citadel, Tash-Khovli Palace, Mukhammad Aminkhan Madrasah, Mukhammad Rahimkhan Madrasah, Kalta Minor, Juma Mosque, Pakhlavan Makhmud Mausoleum, Minaret of Islam-Khoja. Free time in the afternoon. Overnight at the hotel. 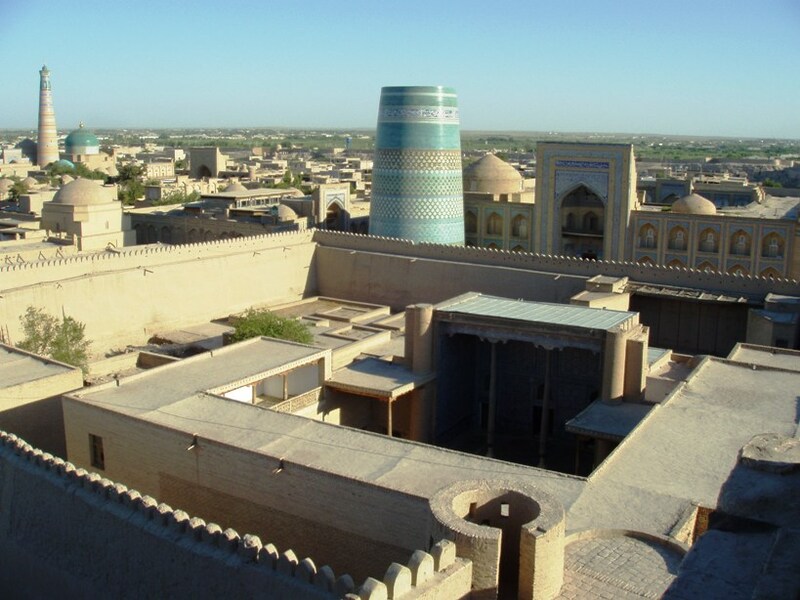 In the morning depart Khiva and drive to Bukhara (480 km, 7-8 h.). 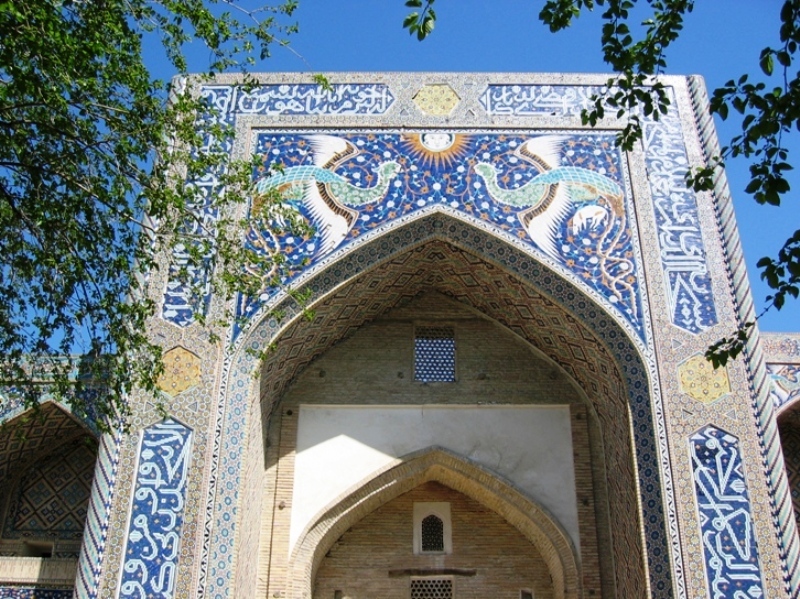 The Great Silk Road once routed through Bukhara and Khiva ran through the Kyzyl Kum Desert, as the present road does nowadays. Stop en-route to enjoy views of Amu Darya River and the desert. Arrive in Bukhara late in the afternoon, check in to the hotel. Time for rest and overnight at the hotel. 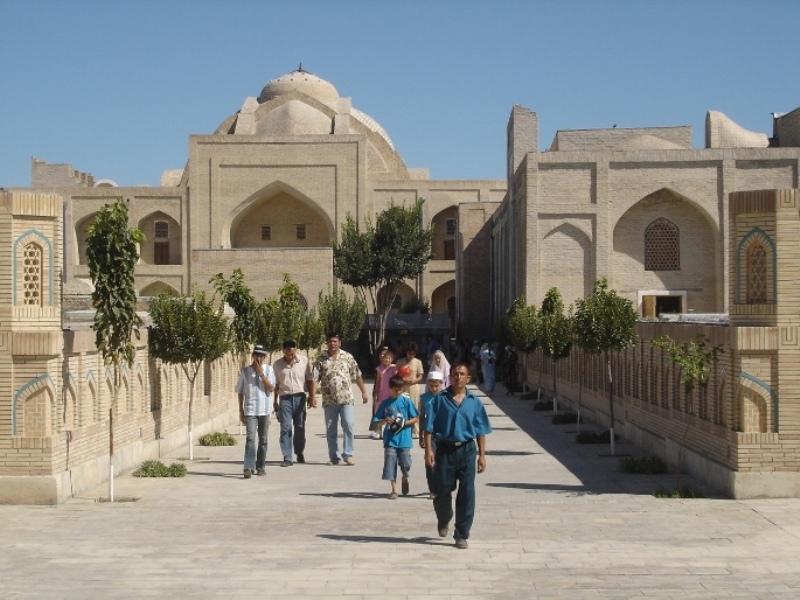 In the morning depart Bukhara and drive to yurt camp located in Kyzyl Kum desert (230 km, 4 h.). On the way stop in Gijduvan pottery masters workshop and Nurata town to visit a local mosque with a holy spring water. In the afternoon continue driving to yurt camp in Kyzyl Kum desert. Stop on Nurata pass to see petroglyphs. Arrive in Safari Yurt Camp, accommodation in yurt. Camel riding and free time. In the evening dinner near the camp fire with Kazakh akin singing folk songs. Overnight in the yurt. In the morning visit desert Aidarkul Lake Free time on the lake.Tourists can fish, swim and get a tan here. 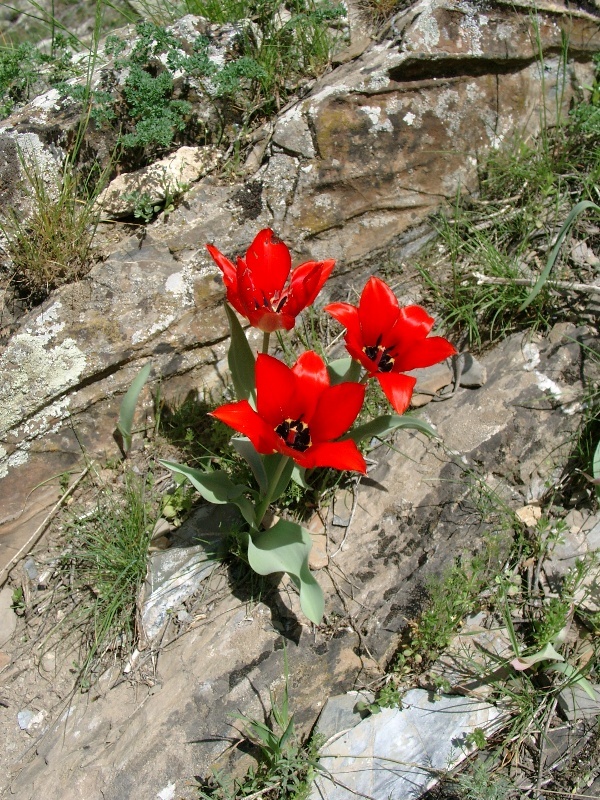 In the afternoon depart the yurt camp and drive to Samarkand (270 km, 5 h.). 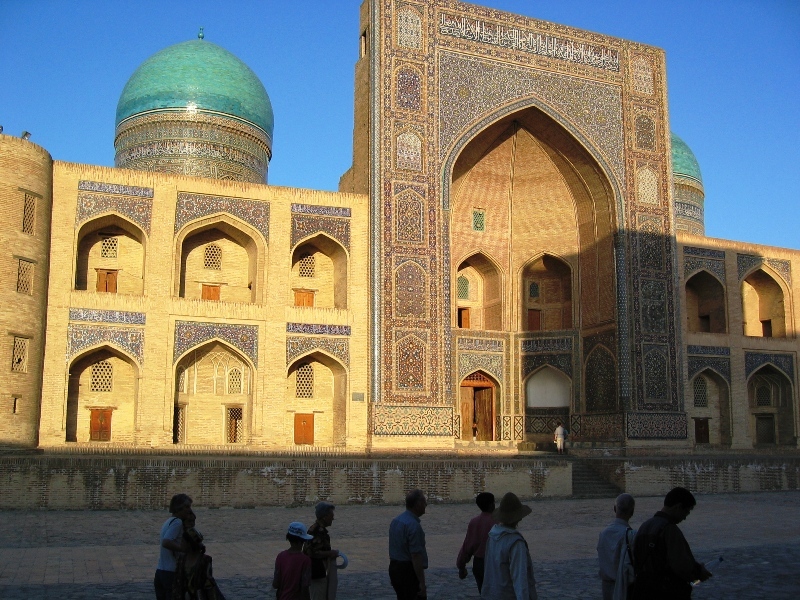 Arrival in Samarkand, check in to the hotel. Time for rest. Overnight at the hotel. Meet your guide and driver at hotel lobby to start city tour. 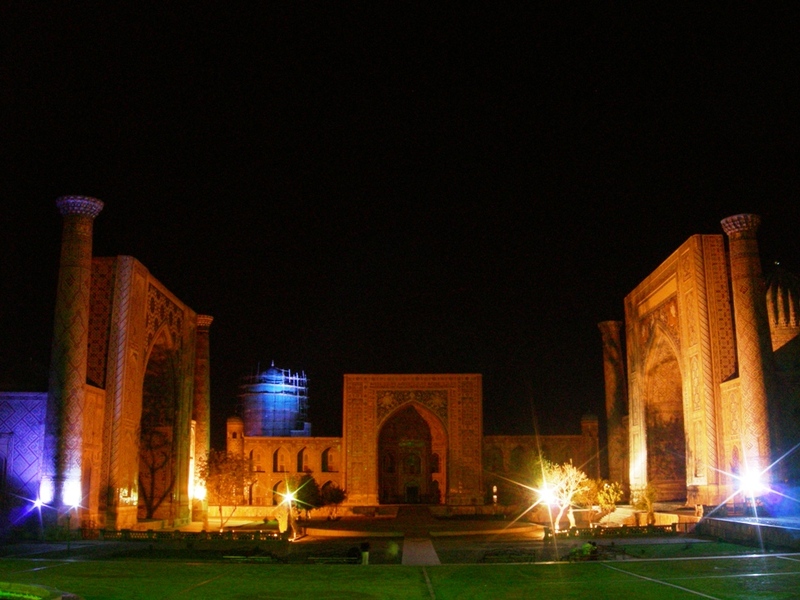 Visit spectacular Registan Square, remains of Bibi Khanum Mosque, Siab Bazaar, Ulugbek Observatory, Shakhi-Zinda Necropolis and Gur-Emir Mausoleum – authentic shrine of Tamerlane. Overnight at the hotel. 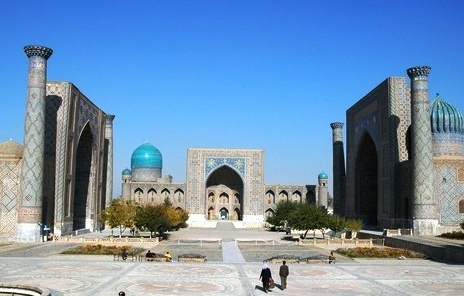 In the morning depart Samarkand and drive to Tashkent (300 km, 4.5 h.). 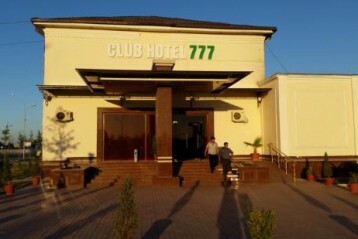 Arrive in Tashkent, check in to the hotel. Free time. Overnight at the hotel.